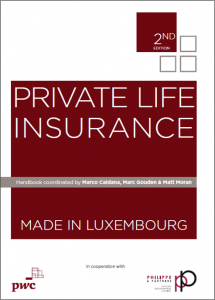 Private Life Insurance made in Luxembourg 2.0. A broader content, new and updated market analysis and fresh case studies based on the most recent developments within the European insurance regulatory environment are the main ingredients of this second edition. After the success of the first edition, printed in one thousand copies and distributed in more than ten Countries throughout Europe, FARAD International, a major player in private life insurance (PLI) in Luxembourg, is delighted to launch the second edition of the publication coordinated with the support of PwC Luxembourg and the law firm Philippe & Partners. The book is the result of the collaboration of 26 international experts. It aims to capture market trends and evolutions through three main sections: regulatory, market analysis and case studies among which stands out a deep analysis of the regulatory framework especially with regard to the Insurance Distribution Directive, that came into force in most EU Member States on October 1st, GDPR and the implications of Sustainability within the insurance sector. Within their analysis, the authors favored an approach focused on a detailed exploration of different European markets as well as tax and regulatory issues specific to each jurisdiction. 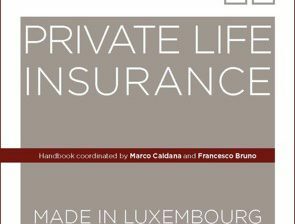 The handbook concludes with a selection of case studies on the latest topics in the field of private life insurance. ”I am sure that market participants across the EU and further afield will benefit from the input of so many respected contributors. The case studies provided, together with the expert assessment of key sector themes, should prove invaluable to insurers, private bankers and wealth managers alike.” concludes Matt Moran, Partner of PwC Luxembourg and one of the coordinator of the project. 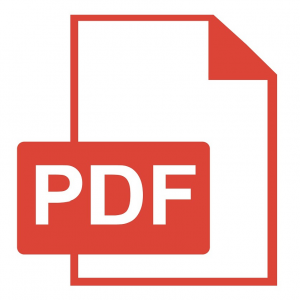 The book is now available at a price of 65 € for an online purchase on the website of FARAD International, as well as in specialized Luxembourg bookshops such as Librarie Française (2,4 Rue Beck) and Librarie Promoculture (14 Rue André Duchscher). Moreover, in line with its B-Corporation principles, with each copy sold FARAD supports the projects of Unity Foundation, the historic Luxembourg non-profit organization committed to empowering communities through – not surprisingly – education.